I have written previously about Journal Impact Factors (here and here). The response to these articles has been great and earlier this year I was asked to write something about JIFs and citation distributions for one of my favourite journals. I agreed and set to work. Things started off so well. A title came straight to mind. In the style of quantixed, I thought The Number of The Beast would be amusing. I asked for opinions on Twitter and got an even better one (from Scott Silverman @sksilverman) Too Many Significant Figures, Not Enough Significance. Next, I found an absolute gem of a quote to kick off the piece. It was from the eminently quotable Sydney Brenner. Before we develop a pseudoscience of citation analysis, we should remind ourselves that what matters absolutely is the scientific content of a paper and that nothing will substitute for either knowing it or reading it. That quote was from a Loose Ends piece that Uncle Syd penned for Current Biology in 1995. Wow, 1995… that is quite a few years ago I thought to myself. Never mind. I pressed on. There’s a lot of literature on JIFs, research assessment and in fact there are whole fields of scholarly activity (bibliometrics) devoted to this kind of analysis. I thought I’d better look back at what has been written previously. The “go to” paper for criticism of JIFs is Per Seglen’s analysis in the BMJ, published in 1997. I re-read this and I can recommend it if you haven’t already seen it. However, I started to feel uneasy. There was not much that I could add that hadn’t already been said, and what’s more it had been said 20 years ago. Around about this time I was asked to review some fellowship applications for another EU country. The applicants had to list their publications, along with the JIF. I found this annoying. It was as if SF-DORA never happened. There have been so many articles, blog posts and more written on JIFs. Why has nothing changed? It was then that I realised that it doesn’t matter how many things are written – however coherently argued – people like JIFs and they like to use them for research assessment. I was wasting my time writing something else. Sorry if this sounds pessimistic. I’m sure new trainees can be reached by new articles on this topic, but acceptance of JIF as a research assessment tool runs deep. It is like religious thought. No amount of atheist writing, no matter how forceful, cogent, whatever, will change people’s minds. That way of thinking is too deeply ingrained. As the song says, “If I can’t change your mind, then no-one will”. So I declared defeat and told the journal that I felt like I had said all that I could already say on my blog and that I was unable to write something for them. Apologies to all like minded individuals for not continuing to fight the good fight. But allow me one parting shot. I had a discussion on Twitter with a few people, one of whom said they disliked the “JIF witch hunt”. This caused me to think about why the JIF has hung around for so long and why it continues to have support. It can’t be that so many people are statistically illiterate or that they are unscientific in choosing to ignore the evidence. What I think is going on is a misunderstanding. Criticism of a journal metric as being unsuitable to judge individual papers is perceived as an attack on journals with a high-JIF. Now, for good or bad, science is elitist and we are all striving to do the best science we can. Striving for the best for many scientists means aiming to publish in journals which happen to have a high JIF. So an attack of JIFs as a research assessment tool, feels like an attack on what scientists are trying to do every day. Because of this intense focus on high-JIF journals… what people don’t appreciate is that the reality is much different. The distribution of JIFs is as skewed as that for the metric itself. What this means is that focussing on a minuscule fraction of papers appearing in high-JIF journals is missing the point. Most papers are in journals with low-JIFs. As I’ve written previously, papers in journals with a JIF of 4 get similar citations to those in a journal with a JIF of 6. So the JIF tells us nothing about citations to the majority of papers and it certainly can’t predict the impact of these papers, which are the majority of our scientific output. So what about those fellowship applicants? All of them had papers in journals with low JIFs (<8). The applicants’ papers were indistinguishable in that respect. What advice would I give to people applying to such a scheme? Well, I wouldn’t advise not giving the information asked for. To be fair to the funding body they also asked for number of citations for each paper, but for papers that are only a few months old, this number is nearly always zero. My advice would be to try and make sure that your paper is available freely for anyone to read. Many of the applicants’ papers were outside my expertise and so the title and abstract didn’t tell me much about the significance of the paper. So I looked at some of these papers to look at the quality of the data in there… if I had access. Applicants who had published in closed access journals are at a disadvantage here because if I couldn’t download the paper then it was difficult to assess what they had been doing. I was thinking that this post would be a meta-meta-blogpost. Writing about an article which was written about something I wrote on my blog. I suppose it still is, except the article was never finished. I might post again about JIFs, but for now I doubt I will have anything new to say that hasn’t already been said. The post title is taken from “If I Can’t Change Your Mind” by Sugar from their LP Copper Blue. Bob Mould was once asked about song-writing and he said that the perfect song was like a maths puzzle (I can’t find a link to support this, so this is from memory). If you are familiar with this song, songwriting and/or mathematics, then you will understand what he means. Edit @ 08:22 16-05-20 I found an interview with Bob Mould where he says song-writing is like city-planning. Maybe he just compares song-writing to lots of different things in interviews. Nonetheless I like the maths analogy. Throes of Rejection: No link between rejection rates and impact? I was interested in the analysis by Frontiers on the lack of a correlation between the rejection rate of a journal and the “impact” (as measured by the JIF). There’s a nice follow here at Science Open. The Times Higher Education Supplement also reported on this with the line that “mass rejection of research papers by selective journals in a bid to achieve a high impact factor is an enormous waste of academics’ time”. First off, the JIF is a flawed metric in a number of ways but even at face value, what does this analysis really tell us? This plot is taken from the post by Jon Tennant at Science Open. The rejection rate is dominated by desk rejects, which although very annoying, don’t take that much time. Without knowing the journal name it is difficult to know what to make of the plot. The data are available from Figshare and – thanks to Thomson-Reuters habit of reporting JIF to 3 d.p. – we can easily pull the journal titles from a list using JIF as a key. The list is here. Note that there may be errors due to this quick-and-dirty method. The list takes on a different meaning when you can see the Journal titles alongside the numbers for rejection rate and JIF. Looking for familiar journals – whichever field you are in – you will be disappointed. There’s an awful lot of noise in there. By this, I mean journals that are outside of your field. My plan with this dataset was to replot rejection rate versus JIF2014 for a few different journal categories, but I don’t think there’s enough data to do this and make a convincing case one way or the other. So, I think the jury is still out on this question. It would be interesting to do this analysis on a bigger dataset. Journals releasing their numbers on rejection rates would be a step forward to doing this. The Orthopedic Clinics of North America is a tough journal. Accepts only 2 papers in every 100 for an impact factor of 1! The post title is from “Throes of Rejection” by Pantera from their Far Beyond Driven LP. I rejected the title “Satan Has Rejected my Soul” by Morrissey for obvious reasons. There have been calls for journals to publish the distribution of citations to the papers they publish (1 2 3). The idea is to turn the focus away from just one number – the Journal Impact Factor (JIF) – and to look at all the data. Some journals have responded by publishing the data that underlie the JIF (EMBO J, Peer J, Royal Soc, Nature Chem). It would be great if more journals did this. Recently, Stuart Cantrill from Nature Chemistry actually went one step further and compared the distribution of cites at his journal with other chemistry journals. I really liked this post and it made me think that I should just go ahead and harvest the data for cell biology journals and post it. This post is in two parts. First, I’ll show the data for 22 journals. They’re broadly cell biology, but there’s something for everyone with Cell, Nature and Science all included. Second, I’ll describe how I “reverse engineered” the JIF to get to these numbers. The second part is a bit technical but it describes how difficult it is to reproduce the JIF and highlights some major inconsistencies for some journals. Hopefully it will also be of interest to anyone wanting to do a similar analysis. The JIF for 2014 (published in the summer of 2015) is worked out by counting the total number of 2014 cites to articles in that journal that were published in 2012 and 2013. This number is divided by the number of “citable items” in that journal in 2012 and 2013. There are other ways to look at citation data, different windows to analyse, but this method is used here because it underlies the impact factor. I plotted out histograms to show the citation distributions at these journals from 0-50 citations, inset shows the frequency of papers with 50-1000 cites. As you can see, the distributions are highly skewed and so reporting the mean is very misleading. Typically ~70% papers pick up less than the mean number of citations. Reporting the median is safer and is shown below. It shows how similar most of the journals are in this field in terms of citations to the average paper in that journal. Another metric, which I like, is the H-index for journals. Google Scholar uses this as a journal metric (using citation data from a 5-year window). For a journal, this is a number, h, which reveals how many papers got >=h citations. A plot of h-indices for these journals is shown below. Here’s a summary table of all of this information together with the “official JIF” data, which is discussed below. The analysis shown above was straightforward. However, getting the data to match Thomson-Reuters’ calculations for the JIF was far from easy. I downloaded the citation data from Web of Science for the 22 journals. I limited the search to “articles” and “reviews”, published in 2012 and 2013. I took the citation data from papers published in 2014 with the aim of plotting out the distributions. As a first step I calculated the mean citation for each journal (a.k.a. impact factor) to see how it compared with the official Journal Impact Factor (JIF). As you can see below, some were correct and others were off by some margin. For most journals there was a large difference between this number and the official JIF (see below, left). This was not a huge surprise, I’d found previously that the JIF was very hard to reproduce (see also here). To try and understand the difference, I looked at the total citations in my dataset vs those from the official JIF. 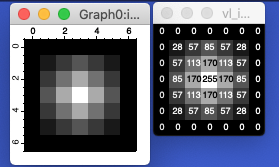 As you can see from the plot (right), my numbers are pretty much in agreement with those used for the JIF calculation. Which meant that the difference comes from the denominator – the number of citable items. What the plots show is that, for most journals in my dataset, there are fewer papers considered as citable items by Thomson-Reuters. This is strange. I had filtered the data to leave only journal articles and reviews (which are citable items), so non-citable items should have been removed. It’s no secret that the papers cited in the sum on the top of the impact factor calculation are not necessarily the same as the papers counted on the bottom. Now, it’s no secret that the papers cited in the sum on the top of the impact factor calculation are not necessarily the same as the papers counted on the bottom (see here, here and here). This inconsistency actually makes plotting a distribution impossible. However, I thought that using the same dataset, filtering and getting to the correct total citation number meant that I had the correct list of citable items. So, what could explain this difference? I looked first at how big the difference in number of citable items is. Journals like Nature and Science are missing >1000 items(! ), others are less and some such as Traffic, EMBO J, Development etc. have the correct number. Remember that journals carry different amounts of papers. So as a proportion of total papers the biggest fraction of missing papers was actually from Autophagy and Cell Research which were missing ~50% of papers classified in WoS as “articles” or “reviews”! My best guess at this stage was that items were incorrectly tagged in Web of Science. Journals like Nature, Science and Current Biology carry a lot of obituaries, letters and other stuff that can fairly be removed from the citable items count. But these should be classified as such in Web of Science and therefore filtered out in my original search. Also, these types of paper don’t explain the big disparity in journals like Autophagy that only carry papers, reviews with a tiny bit of front matter. I figured a good way forward would be to verify the numbers with another database – PubMed. Details of how I did this are at the foot of this post. This brought me much closer to the JIF “citable items” number for most journals. However, Autophagy, Current Biology and Science are still missing large numbers of papers. As a proportion of the size of the journal, Autophagy, Cell Research and Current Biology are missing the most. While Nature Cell Biology and Nature Reviews Molecular Cell Biology now have more citable items in the JIF calculation than are found in PubMed! This collection of data was used for the citation distributions shown above, but it highlights some major discrepancies at least for some journals. How does Thomson Reuters decide what is a citable item? Some of the reasons for deciding what is a citable item are outlined in this paper. Of the six reasons that are revealed, all seem reasonable, but they suggest that they do not simply look at the classification of papers in the Web of Science database. Without wanting to pick on Autophagy – it’s simply the first one alphabetically – I looked at which was right: the PubMed number of 539 or the JIF number of 247 citable items published in 2012 and 2013. For the JIF number to be correct this journal must only publish ~10 papers per issue, which doesn’t seem to be right at least from a quick glance at the first few issues in 2012. Why Thomson-Reuters removes some of these papers as non-citable items is a mystery… you can see from the histogram above that for Autophagy only 90 or so papers are uncited in 2014, so clearly the removed items are capable of picking up citations. If anyone has any ideas why the items were removed, please leave a comment. Trying to understand what data goes into the Journal Impact Factor calculation (for some, but not all journals) is very difficult. This makes JIFs very hard to reproduce. As a general rule in science, we don’t trust things that can’t be reproduced, so why has the JIF persisted. I think most people realise by now that using this single number to draw conclusions about the excellence (or not) of a paper because it was published in a certain journal, is madness. Looking at the citation distributions, it’s clear that the majority of papers could be reshuffled between any of these journals and nobody would notice (see here for further analysis). We would all do better to read the paper and not worry about where it was published. In PubMed, a research paper will have the publication type “journal article”, however other items can still have this publication type. These items also have additional types which can therefore be filtered. I retrieved all PubMed records from the journals published in 2012 and 2013 with publication type = “journal article”. This worked for 21 journals, eLife is online only so the ppdat field code had to be changed to pdat. I saved this as an XML file and then pulled the values from the “publication type” key using Nokogiri/ruby (script). I then had a list of all the publication type combinations for each record. As a first step I simply counted the number of journal articles for each journal and then subtracted anything that was tagged as “biography”, “comment”, “portraits” etc. This could be done in IgorPro by making a wave indicating whether an item should be excluded (0 or 1) using the DOI as a lookup. This wave could then be used exclude papers from the distribution. For calculation of the number of missing papers as a proportion of size of journal, I used the number of items from WoS for the WoS calculation, and the JIF number for the PubMed comparison. Related to this, this IgorPro procedure will read in csv files from WoS/WoK. As mentioned in the main text, data were downloaded 500 records at a time as csv from WoS, using journal titles as a search term and limiting to “article” or “review” and limiting to 2012 and 2013. Note that limiting the search at the outset by year, limits the citation data you get back. You need to search first to get citations from all years and then refine afterwards. The files can be stitched together with the cat command. Edit 8/1/16 @ 07:41 Jon Lane told me via Twitter that Autophagy publishes short commentaries of papers in other journals called “Autophagic puncta” (you need to be a cell biologist to get this gag). He suggests these could be removed by Thomson Reuters for their calculation. This might explain the discrepancy for this journal. However, these items 1) cite other papers (so they contribute to JIF calculations), 2) they get cited (Jon says his own piece has been cited 18 times) so they are not non-citable items, 3) they’re tagged as though they are a paper or a review in WoS and PubMed. This is a long post about Journal Impact Factors. Thanks to Stephen Curry for encouraging me to post this. reporting a JIF to 3 d.p. is ridiculous, it would be better to round to the nearest 5 or 10. The mean number of twitter followers is 208. The median number of twitter followers is 0. It’s a great illustration of why reporting means for skewed distributions is a bad idea. And this brings us quickly to Thomson-Reuters’ Journal Impact Factor (JIF). I can actually remember the first time I realised that the JIF was a spurious metric. This was in 2003, after reading a letter to Nature from David Colquhoun who plotted out the distribution of citations to a sample of papers in Nature. Up until that point, I hadn’t appreciated how skewed these data are. We put it up on the lab wall. A JIF for 2013 is worked out by counting the total number of 2013 cites to articles in that journal that were published in 2011 and 2012. This number is divided by the number of “citable items” in that journal in 2011 and 2012. There are numerous problems with this calculation that I don’t have time to go into here. If we just set these aside for the moment, the JIF is still used widely today and not for the purpose it was originally intended. Eugene Garfield, created the metric to provide librarians with a simple way to prioritise subscriptions to Journals that carried the most-cited scientific papers. The JIF is used (wrongly) in some institutions in the criteria for hiring, promotion and firing. This is because of the common misconception that the JIF is a proxy for the quality of a paper in that journal. Use of metrics in this manner is opposed by the SF-DORA and I would encourage anyone that hasn’t already done so, to pledge their support for this excellent initiative. Why not report the median rather than the mean? The Acta Crystallographica Section A effect. The plot shows that this journal had a JIF of 2.051 in 2008 which jumped to 49.926 in 2009 due to a single highly-cited paper. Did every other paper in this journal suddenly get amazingly awesome and highly-cited for this period? Of course not. The median is insensitive to outliers like this. The answer to why Thomson-Reuters don’t do this is probably for ease of computation. The JIF (mean) requires only three numbers for each journal, whereas calculating the median would require citation information for each paper under consideration for each journal. But it’s not that difficult (see below). There’s also a mismatch in the items that bring in citations to the numerator and those that count as “citeable items” in the denominator. This opacity is one of the major criticisms of the Impact Factor and this presents a problem for them to calculate the median. I had a closer look at citation data for a small number of journals in my field. DC’s citation distribution plot was great (in fact, superior to JIF data) but it didn’t capture the distribution that underlies the JIF. I crunched the IF2012 numbers (released in June 2013) sometime in December 2013. This is shown below. My intention was to redo this analysis more fully in June 2014 when the IF2013 was released, but I was busy, had lost interest and the company said that they would be more open with the data (although I’ve not seen any evidence for this). I wrote about partial impact factors instead, which took over my blog. Anyway, the analysis shown here is likely to be similar for any year and the points made below are likely to hold. I mainly looked at Nature, Nature Cell Biology, Journal of Cell Biology, EMBO Journal and J Cell Science. Using citations in 2012 articles to papers published in 2010 and 2011, i.e. the same criteria as for IF2012. The first thing that happens when you attempt this analysis is that you realise how unreproducible the Thomson-Reuters JIFs are. This has been commented on in the past (e.g. here), yet I had the same data as the company uses to calculate JIFs and it was difficult to see how they had arrived at their numbers. After some wrangling I managed to get a set of papers for each journal that gave close to the same JIF. From this we can look at the citation distribution within the dataset for each journal. Below is a gallery of these distributions. You can see that the data are highly skewed. For example, JCB has kurtosis of 13.5 and a skewness of 3. For all of these journals ~2/3 of papers had fewer than the mean number of citations. With this kind of skew, it makes more sense to report the median (as described above). Note that Cell is included here but was not used in the main analysis. So how do these distributions look when compared? I plotted each journal compared to JCB. They are normalised to account for the differing number of papers in each dataset. As you can see they are largely overlapping. If the distributions overlap so much, how certain can we be that a paper in a journal with a high JIF will have more citations than a paper in a journal with a lower JIF? In other words, how good is the JIF (mean or median) at predicting how many citations a paper published in a certain journal is likely to have? To look at this, I ran a Monte Carlo analysis comparing a random paper from one journal with a random one from JCB and looked at the difference in number of citations. Papers in EMBO J are indistinguishable from JCB. Papers in JCS have very slightly fewer citations than JCB. Most NCB papers have a similar number of cites to papers in JCB, but there is a tail of papers with higher cites, a similar but more amplified picture for Nature. Thomson-Reuters quotes the JIF to 3 d.p. and most journals use this to promote their impact factor (see below). The precision of 3 d.p. is ridiculous when two journals with IFs of 10.822 and 9.822 are indistinguishable when it comes to the number of citations to randomly sampled papers in that journal. So how big do differences in JIF have to be in order to be able to tell a “Journal X paper” from a “Journal Y paper” (in terms of citations)? To look at this I ran some comparisons between the journals in order to get some idea of “significant differences”. I made virtual issues of each journal with differing numbers of papers (5,10,20,30) and compared the citations in each via Wilcoxon rank text and then plotted out the frequency of p-values for 100 of these tests. Please leave a comment if you have a better idea to look at this. I liked this method over the head-to-head comparison for two papers as it allows these papers the benefit of the (potential) reflected glory of other papers in the journal. In other words, it is closer to what the JIF is about. OK, so this shows that sufficient sample size is required to detect differences, no surprise there. But at N=20 and N=30 the result seems pretty clear. A virtual issue of Nature trumps a virtual issue of JCB, and JCB beats JCS. But again, there is no difference between JCB and EMBO J. Finally, only ~30% of the time would a virtual issue of NCB trump JCB for citations! NCB and JCB had a difference in JIF of almost 10 (20.761 vs 10.822). So not only is quoting the JIF to 3 d.p. ridiculous, it looks like rounding the JIF to the nearest 5 (or 10) might be better! This analysis supports the idea that there are different tiers of journal (in Cell Biology at least). But the JIF is the bluntest of tools to separate these journals. A more rigorous analysis is needed to demonstrate this more clearly but it is not feasible to do this while having a dataset which agrees with that of Thomson-Reuters (without purchasing the data from the company). If you are still not convinced about how shortcomings of the JIF, here is a final example. The IF2013 for Nature increased from 38.597 to 42.351. Let’s have a look at the citation distributions that underlie this rise of 3.8! As you can see below they are virtually identical. Remember that there’s a big promotion that the journal uses to pull in new subscribers, seems a bit hollow somehow doesn’t it? Disclaimer: I think this promotion is a bit tacky, but it’s actually a really good deal… the News stuff at the front and the Jobs section at the back alone are worth ~£40. More skewed distributions: The distribution of JIFs in the Cell Biology Category for IF2012 is itself skewed. Median JIF is 3.2 and Mean JIF is 4.8. Recently, Stephen Curry has called for Journals to report the citation distribution data rather than parroting their Impact Factor (to 3 d.p.). I agree with this. The question is though – what to report? The IF window is far too narrow (2 years + 1 year of citations) so a broader window would be more useful. A comparison dataset from another journal is needed in order to calibrate ourselves. Citations are problematic – not least because they are laggy. A journal could change dramatically and any citation metric would not catch up for ~2 years. Related to this some topics are hot and others not. I guess we’re most interested in how a paper in Journal X compares to others of its kind. Any information reported needs to be freely available for re-analysis and not in the hands of a company. Google Scholar is a potential solution but it needs to be more open with its data. They already have a journal ranking which provides a valuable and interesting alternative view to the JIF. One solution would be to show per article citation profiles comparing these for similar papers. How do papers on a certain topic in Journal X compare to not only those in Journal Y but to the whole field? In my opinion, this metric would be most useful when assessing scholarly output. the JIF is based on highly skewed data. the median rather than the mean is better for summarising such distributions. JIF is a very poor indicator of the number of citations a random paper in the journal received! an open resource for comparing citation data per journal would be highly valuable. The post title is taken from “Wrong Number” by The Cure. I’m not sure which album it’s from, I only own a Greatest Hits compilation.